Note: There’s a bit of debate over the quality of vodka and beans that should be used, as well as how long you should steep the beans. Stolichnaya is my vodka of preference, but any vodka will do. 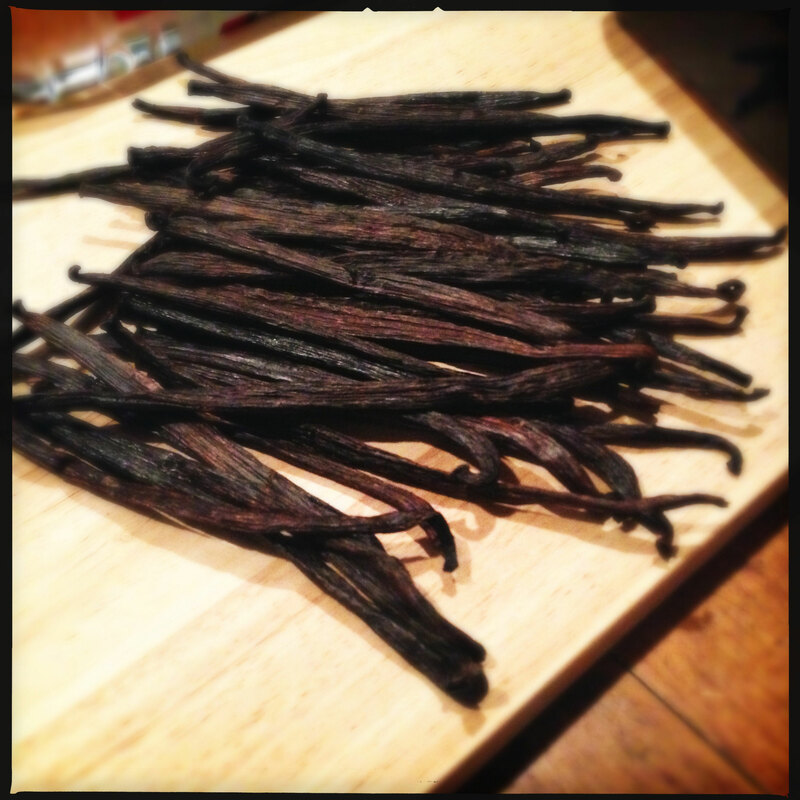 You can also use Rum or Bourbon but this will add flavor to your vanilla. Beans should steep a minimum of 2 months before use, but the longer it sits, the better. These are grade “B” beans. They’re not as pretty and plump as grade “A”, but since they’re going in a dark bottle, never to be seen again, it’s ok.
Give the beans a little massage to help release some of the beans from the pod. Split the beans lengthwise and place them in the bottle. 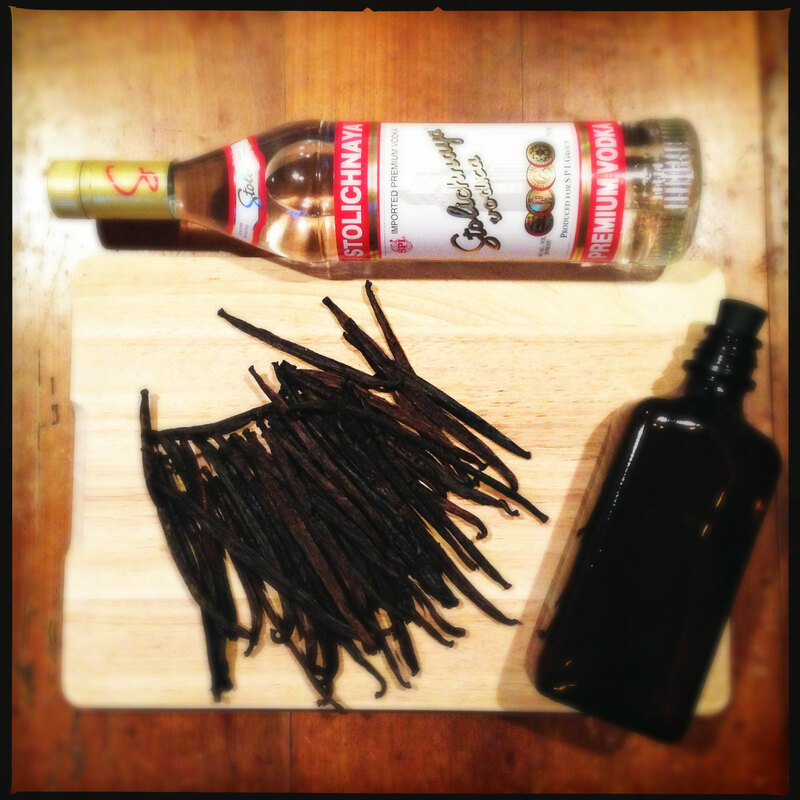 Pour the vodka in the bottle, cover and shake. Place the bottle in a cool, dark place and let steep for at least two months. Give the bottle a gentle shake every few weeks, or when you can remember.